I got some more work done the (long) weekend on my props for Halloween 2016. 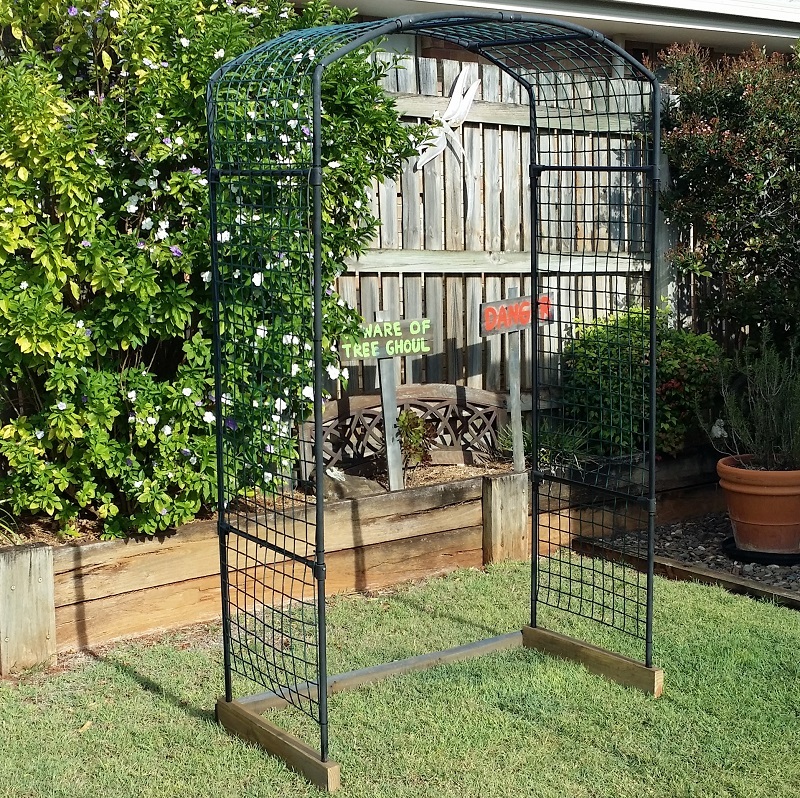 This garden arch was free via Gumtree. I extended the depth (to suit the plastic mesh I already had) by cutting 7 new bars from old curtain rods. The wooden base was free (pallets) and will keep the bottom of the legs spread out. The arch will go just in front of my patio with the wood backing onto the step up. I’ll also put some striped tape on it so people are aware of the step in the low light. 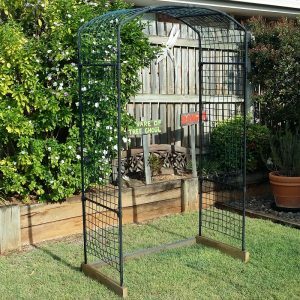 The general idea is to attach fake vines (20 x 2.4m ones for $20 on eBay) to the mesh. Some pumpkin (or similar) lights will provide illumination. The second prop is a simple swing made from some old nylon rope (painted to make it look more like sisal rope) and a wooden seat (free pallet wood again). It is tied to the branch of a tree in my front yard. 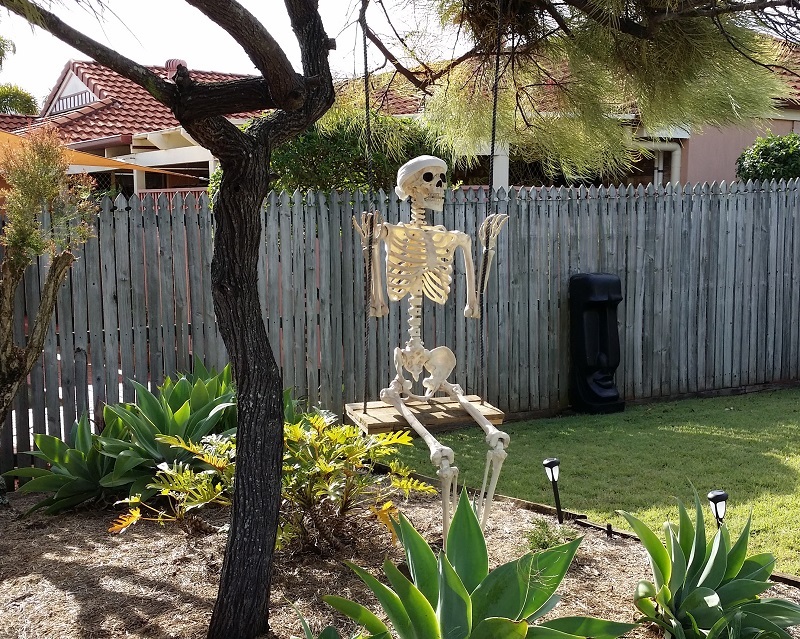 The skeleton is from Costco. I plan to animate it using a wiper motor pulling on a thin line attached to the back of the seat. Small LED spot lights will illuminate it from above and below.